I’m not sure if there’s more of an iconic viewpoint than one as you drive down RT191, towards the buttes on the horizon. Even though most people may not know about this place, nor what it’s called; it is a crucial turning point (literally) in the movie Forest Gump. A scene that has seared this vista into everyone’s memory who’s watched that movie. You know, the one where Forrest is running across the country with a huge crowd of people following close behind. He turns around to finally address the crowd that has been running waiting with bated breath, to hear him speak for the first time. Only to hear the words, “I think I’ll go home now.” Anticlimactic, but cinematically beautiful at the same time. An iconic movie with an iconic backdrop, which brings me to the reason why I came here. 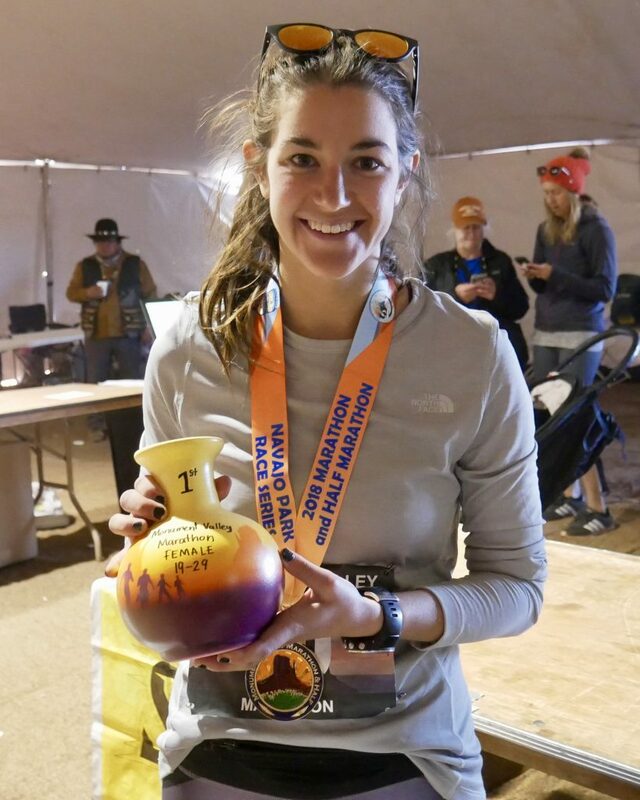 My girlfriend Court signed up for her first marathon back in July. And for her first one, she didn’t just want to run around a flat city or any old park. She wanted to run through a landscape that she’d remember forever, you know, like a national park. 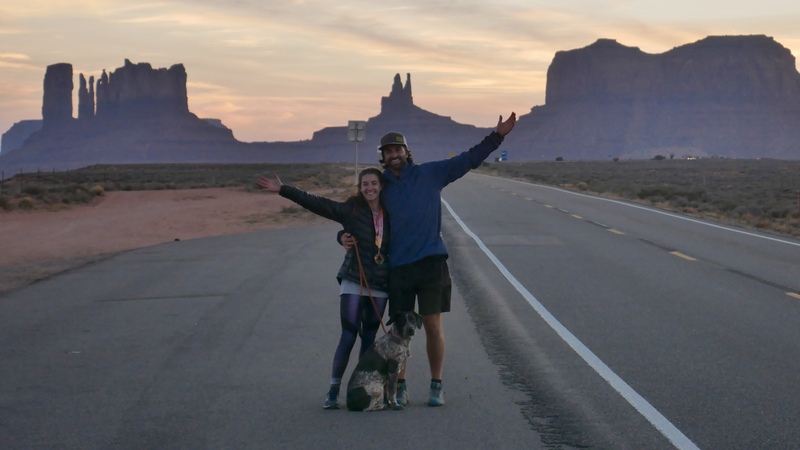 That’s when she stumbled upon the Monument Valley Marathon, which would take place in November, giving her 4 months to train. Neither of us had been here before, giving her even more of a reason to sign up. Fast forward thru the many, many miles of her training, and we found ourselves loading up the truck to head down to the desert. We planned to stay at a tiny, but wonderful motel the night before in the small town of Mexican Hat. The following morning, in the pristine early light, we got to see that iconic view for the first time. It was just like in the movie and every single photo I’ve ever seen of this place. The road drops away, and off to a point of intersection with the horizon. Protruding from the ground, skyward, are the most stunning buttes I’ve seen in the West. 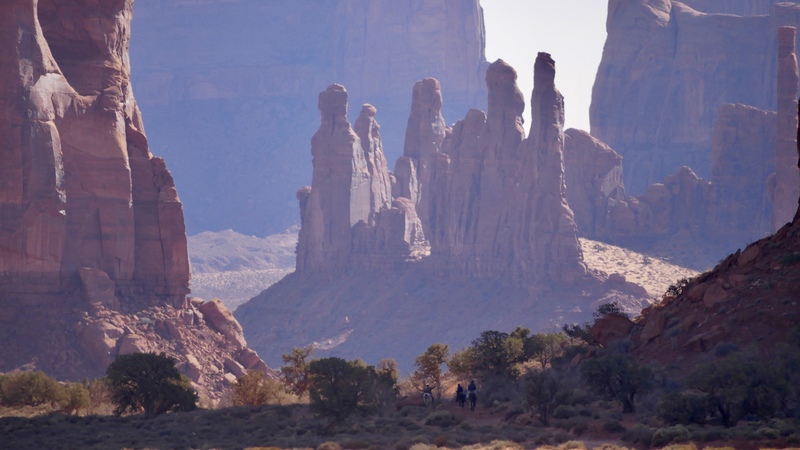 The contrasting tans of the plains with the deep reds of the sandstone towers in the sky. It’s no wonder why so many directors chose to shoot Hollywood blockbuster films here. From a distance, this place is beautiful. And up close its even more picturesque. Now, I didn’t run through the monuments like Court did for 26 miles, so I can’t even begin to dive as deep as she could about her experience. But I did run halfway into the valley to support her along her race. And the few miles I ran in were enough for me to share a worth while experience. 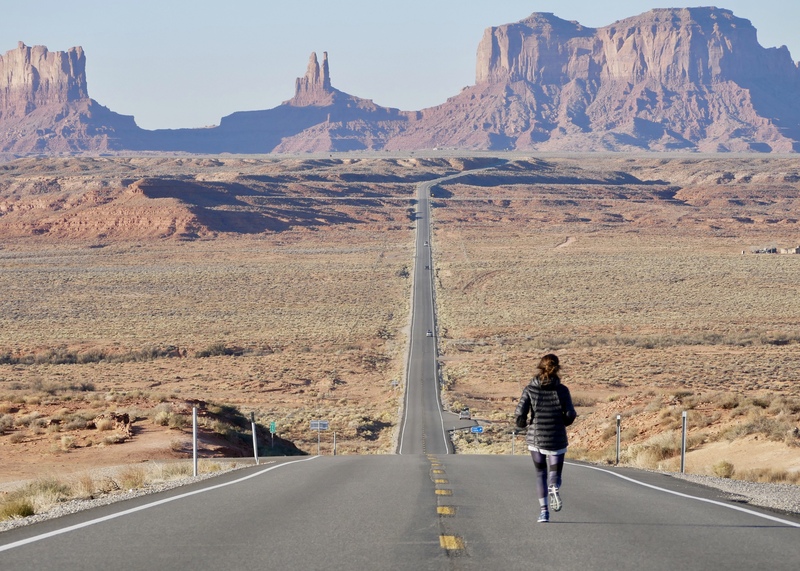 First off, if you plan to visit on your own, know that there are no paved roads through the Monument Valley National Monument. You drive in on a paved road to the visitor’s center, but from there on out it’s dirt roads only. But fear not, even though I’d recommend a vehicle with higher clearance, I did witness countless sedans cruising around the dirt roads. Even a couple driving a beautiful, shiny black C-class Mercedes decided to brave the rugged route through the valley. I can only assume they made it out fine. Regardless of the way you choose to visit, just know that there are open-air tour buses (trucks) that you can take through the monument if you don’t feel comfortable driving or would like a more cultural experience. 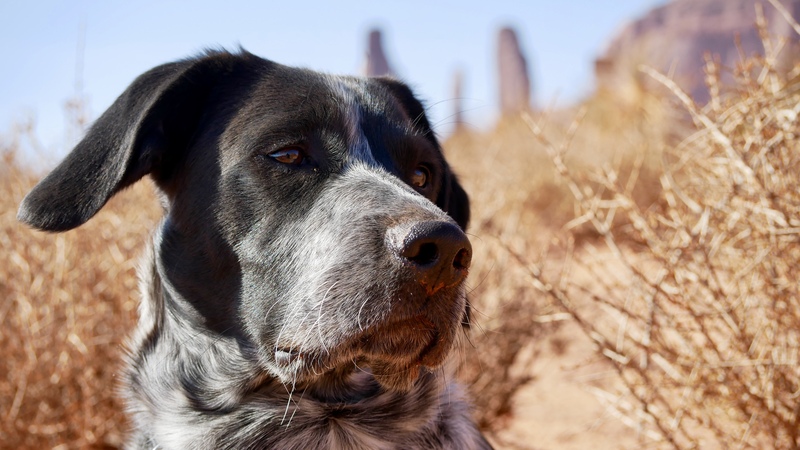 A great option to access restricted roads and also to learn a wealth of knowledge from a Navajo guide. Second thing to note is, if you couldn’t guess by the previous paragraph, the national monument is quite primitive. Other than the fact you’re able to drive thru and around the rocks, there isn’t any infrastructure that can be found at more popular monuments. There aren’t built walkways, paths, or even bathrooms. But for all the things that this place lacks, it makes up for in pure, natural beauty. And that should make you want to visit even more. There is something about entering that valley, that truly takes your breath away. And not because of it’s staggering heights like that of Yosemite, but because of how this place exists. Surrounding these buttes, there is nothing but a flat plateau. Over eons, rivers that once flowed across the Colorado Plateau carved this valley. But if you didn’t know that, you’d think a supernatural force created this landscape. And that is exactly why the Navajo people find these grounds sacred. 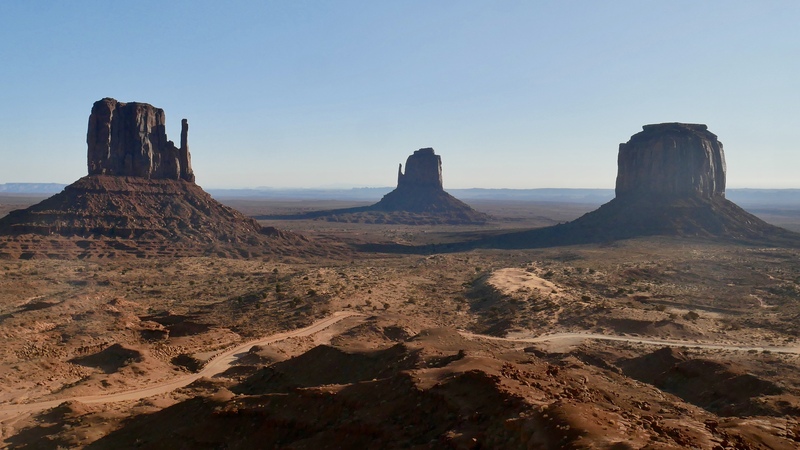 The iconic sandstone features like the Three Sisters, Elephant Butte, and the Totem Pole are still a significant part of their culture. But don’t take my word for it, take a tour around the visitor center or around the valley by a Navajo guide. I didn’t get the chance to, unfortunately, but I wish I had. My experience here, was different than most, but an intimate one still. While Courtney was off running her marathon, thru and around the valley, I planned to meet her somewhere along the route for support. Gregor and I ran 4 miles in from the visitor center, to hang out at mile 16 of the race. Even though it wasn’t some majestic lookout, or vista, I was still surrounded by some of the most stunning sandstone walls. And I’ll be honest, all I could think about was climbing them. But after a couple hours, my attention was drawn back to the race as Court came running by. Excited to see me, but even more stoked to see Gregor. That’s when it hit me. She wasn’t done the race yet, still had about 10 more miles to go, but I couldn’t have been more proud and happy for her. 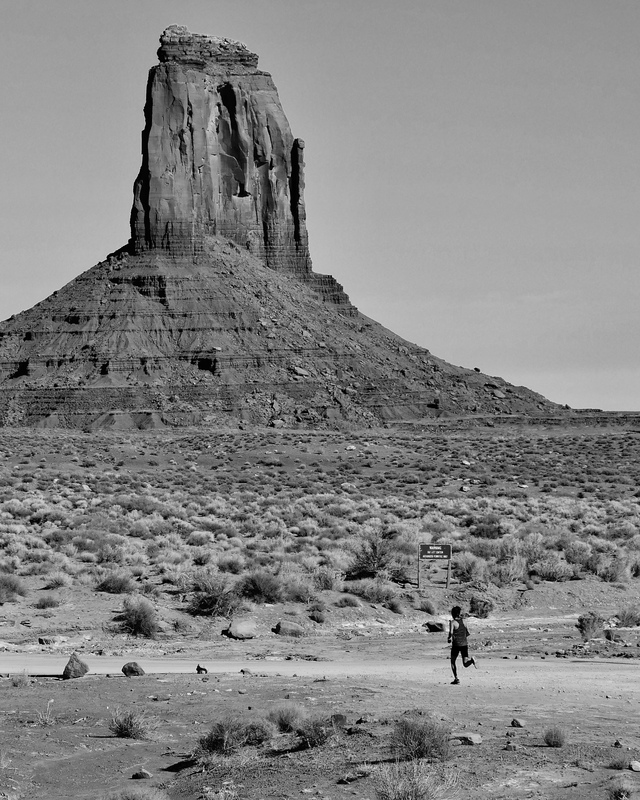 This place, Monument Valley, wasn’t just a race, or any old marathon. This was so much more. Like the rivers that persevered and forged this place, Courtney too shared something in common. Day in, and day out, she ran, just like those rivers. It didn’t matter what got in her way, she pushed through. Painful runner’s knee, and the ever aching pains from all those miles on her body, it didn’t matter. 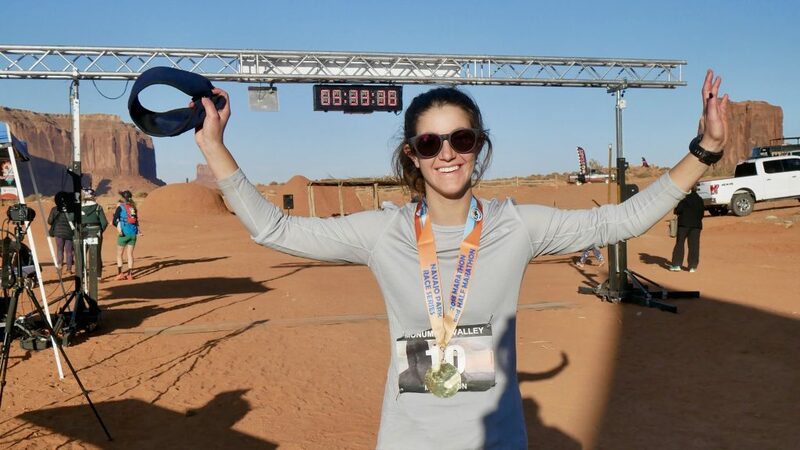 She put her mind to this one goal, and dedicated everything she had to accomplishing it. So when she passed me again on her final lap at mile 23, she had already given it her all. 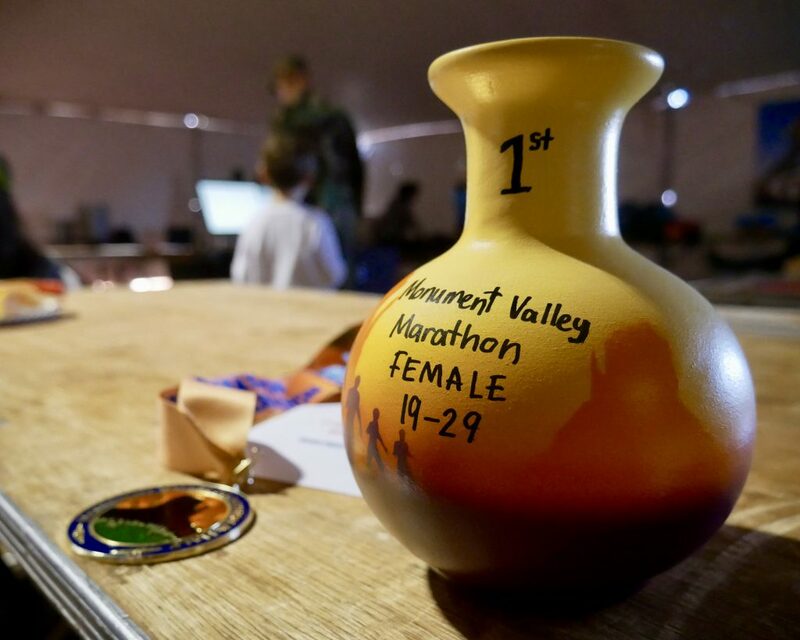 Exhausted, in pain, but still running, forging her own path the the finish line through that valley. And she did it. This place, it means a lot to me. Even more to her. And once you visit, and connect with it in your own way, I’m sure it will mean something equally important to you. Just like it has for so many people throughout history, whether that’s in the movies, as a part of your culture, or maybe your first marathon.